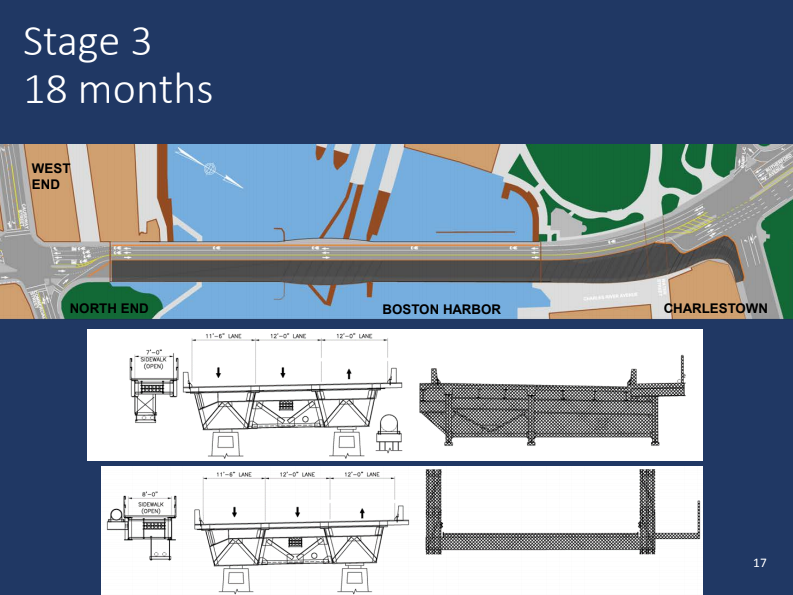 Bracing for Summer Start of Charlestown Bridge Work; No Left Turn to Commercial St.
Community members packed into the North End’s Nazzaro Center to hear updates from the Massachusetts Department of Transportation (MassDOT) on the North Washington Street Bridge (i.e., Charlestown Bridge) replacement project. 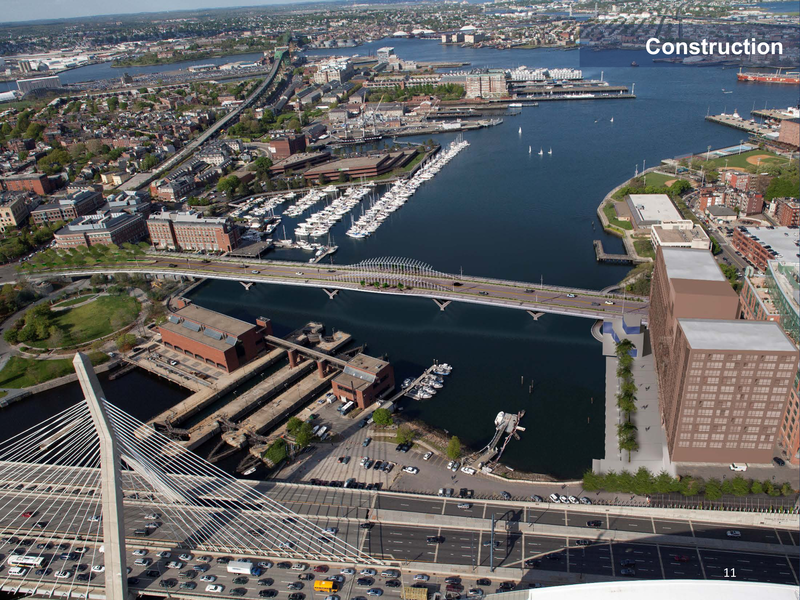 The $177 million project has been approved to replace the current bridge between the North End and Charlestown. 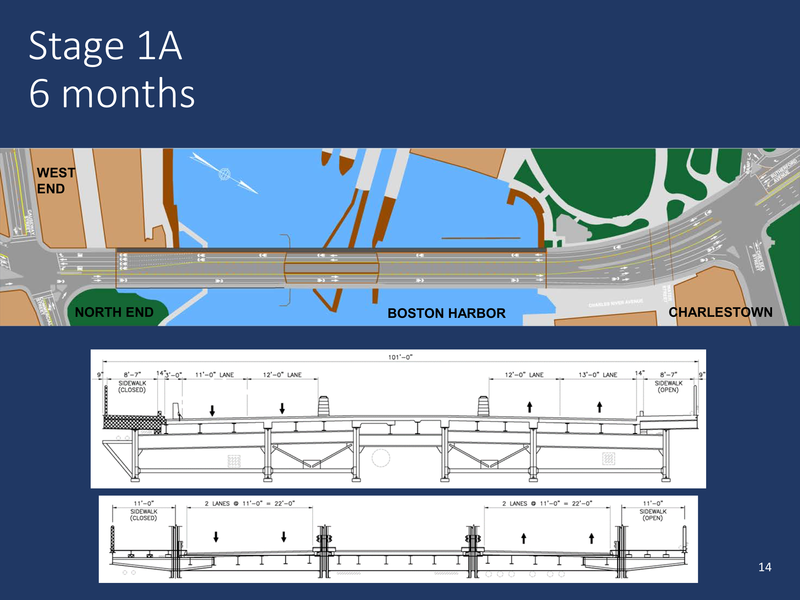 The existing bridge is in a dire state with overnight lane closures and significantly reduced capacity. 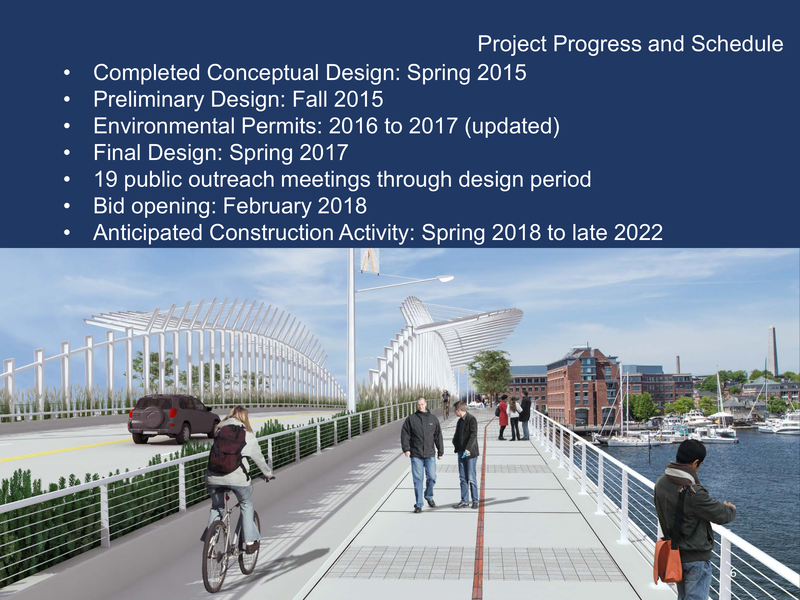 The new design, as previously presented, will feature widened sidewalks, separated bike lanes, bus rapid transit lanes, and landscaping between pedestrians/bicyclists and vehicular traffic. For the most part, the construction will still allow for at least three lanes to remain open, however, a 12-month period (stage 1B, shown below) will have only a single lane for access in and out of the city. 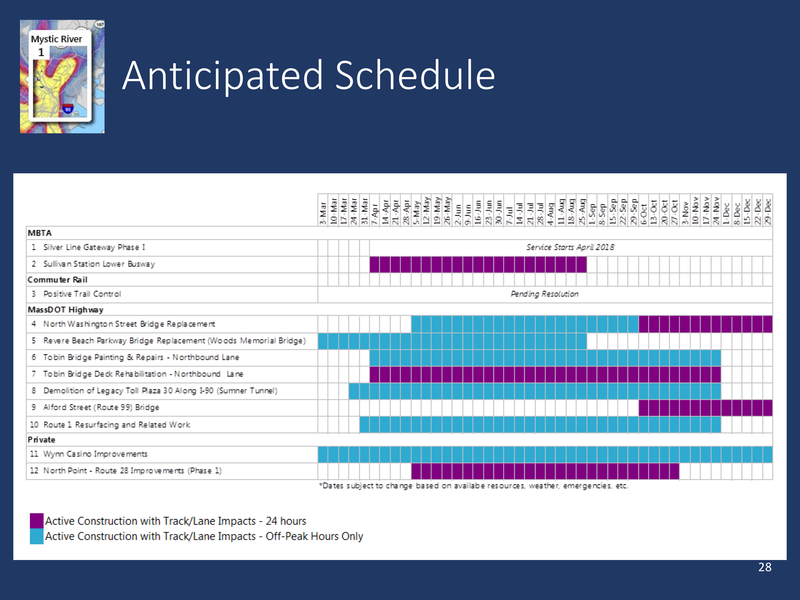 During the construction period, there will be crossings open in both directions for traffic, yet at some stages the lanes will need to be reduced. 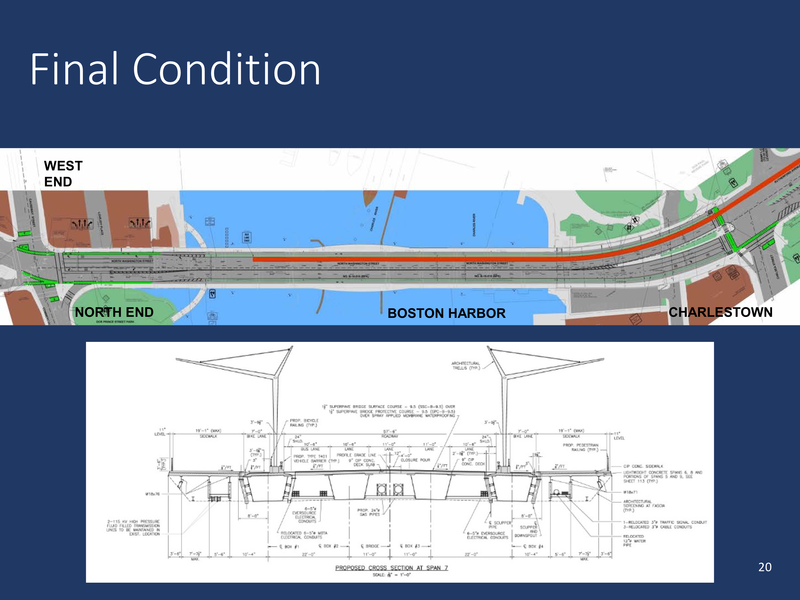 Left turns onto Commercial Street will be prohibited for most of the construction period and traffic will be redirected down Thacher Street, Hanover Street or Atlantic Ave. to loop back around. 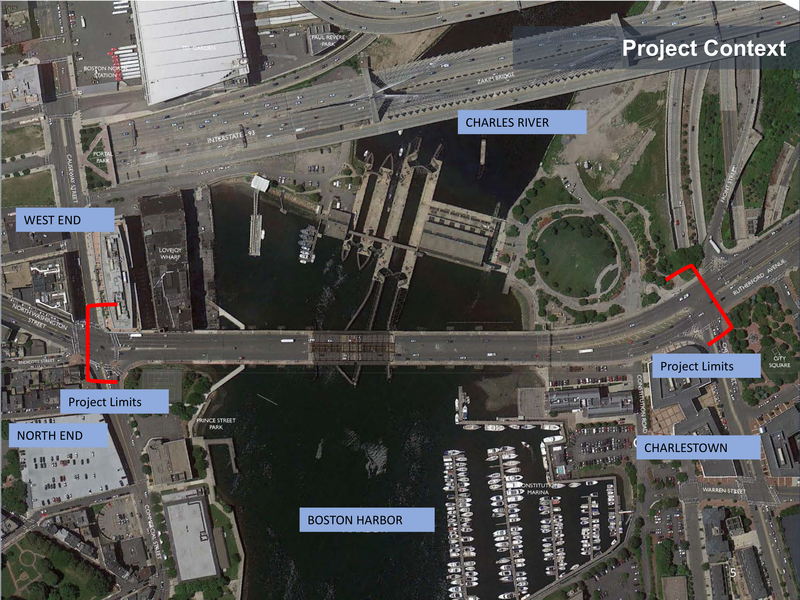 This traffic change will bring more traffic into the interior North End. 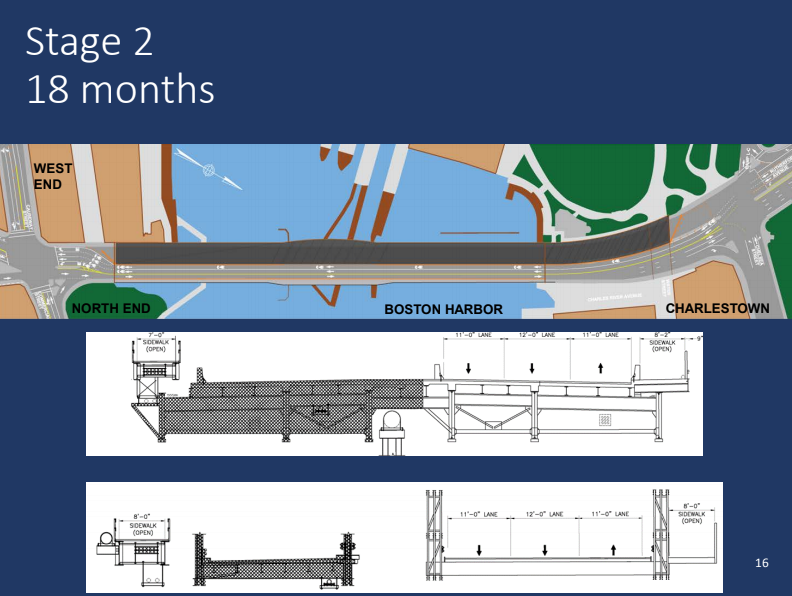 Work begins this summer and continues in 6 major stages through late 2022. 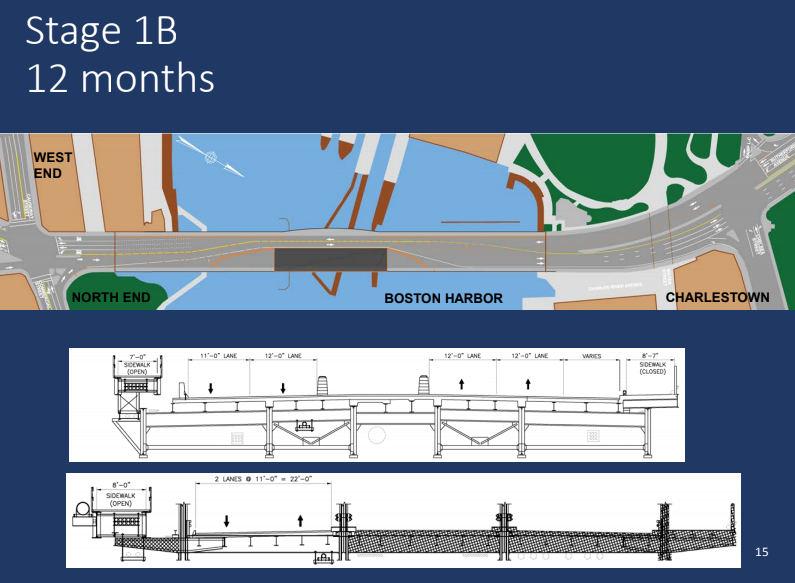 As shown in the pictures below, the construction will flip from one side to the other, so that traffic can flow on the open side (the work zones are noted as the dark gray rectangles pictured below). 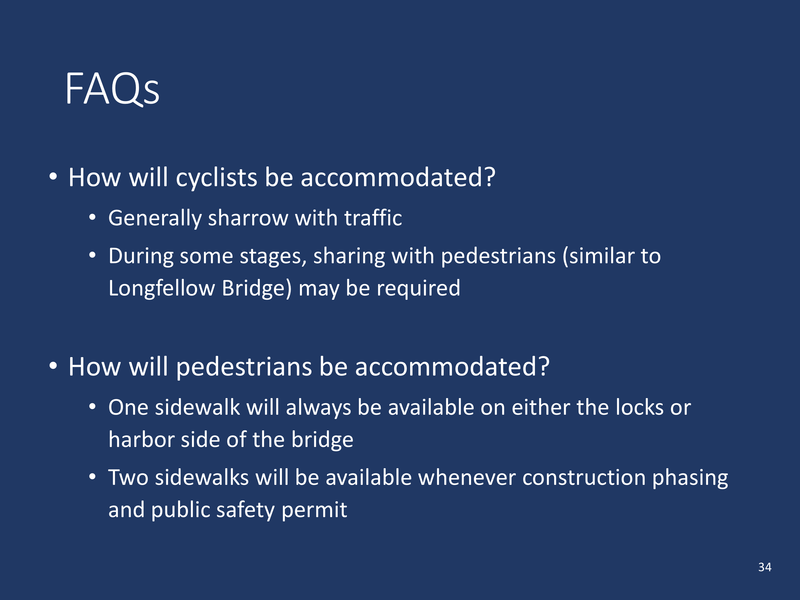 Pedestrians will always have one sidewalk available on either the locks or harbor side of the bridge. 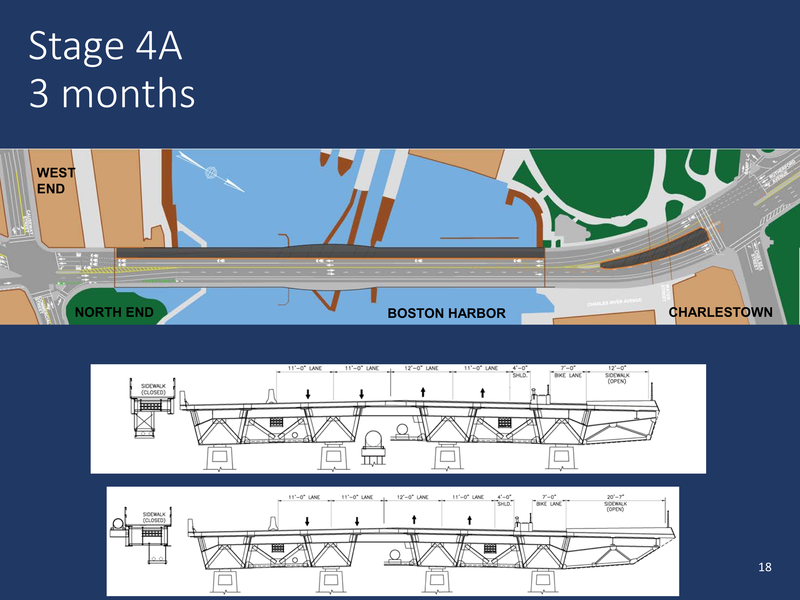 Cyclists will generally share lanes with traffic, but as with the Longfellow Bridge project, they may be required to share with pedestrians in some stages. 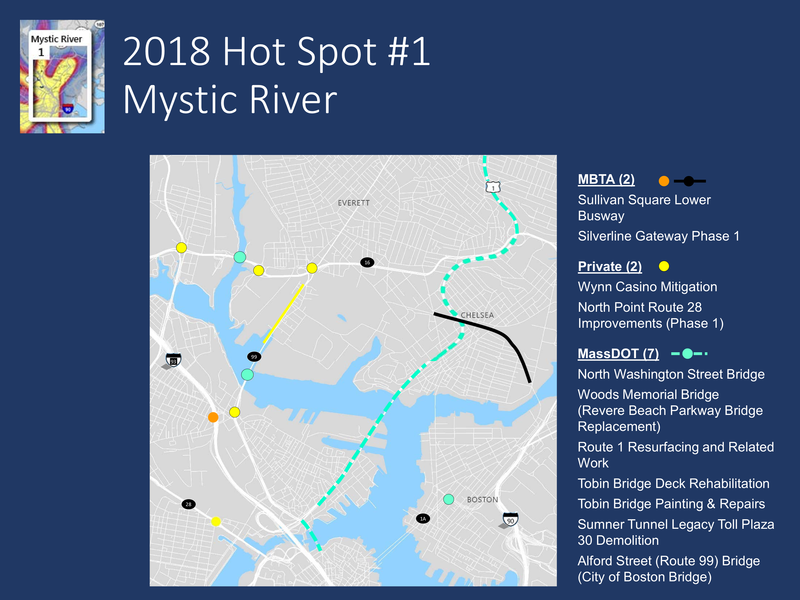 Traffic details will be assigned to direct travelers in the major intersections, such as Keany Square, City Square, and along Chelsea Street. 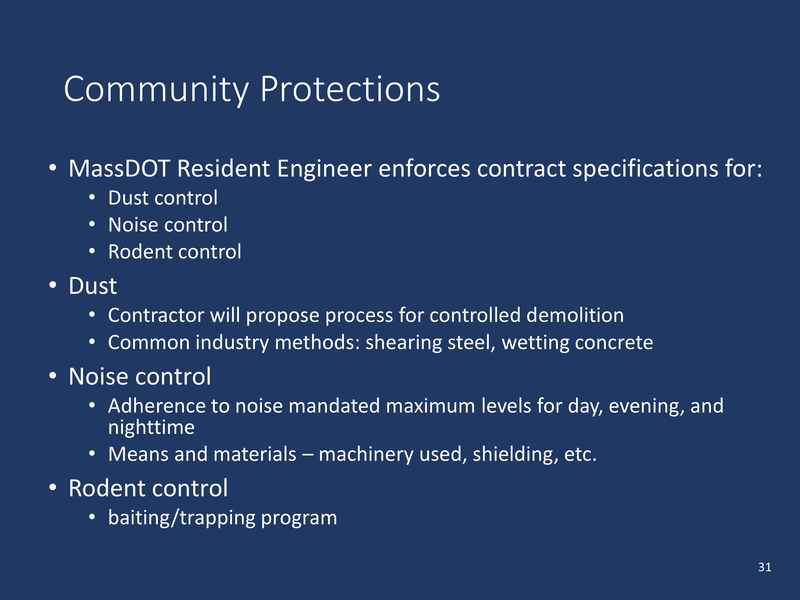 MassDOT told residents that there will be a Resident Engineer on site to enforce contract specifications for dust, noise and rodent control. 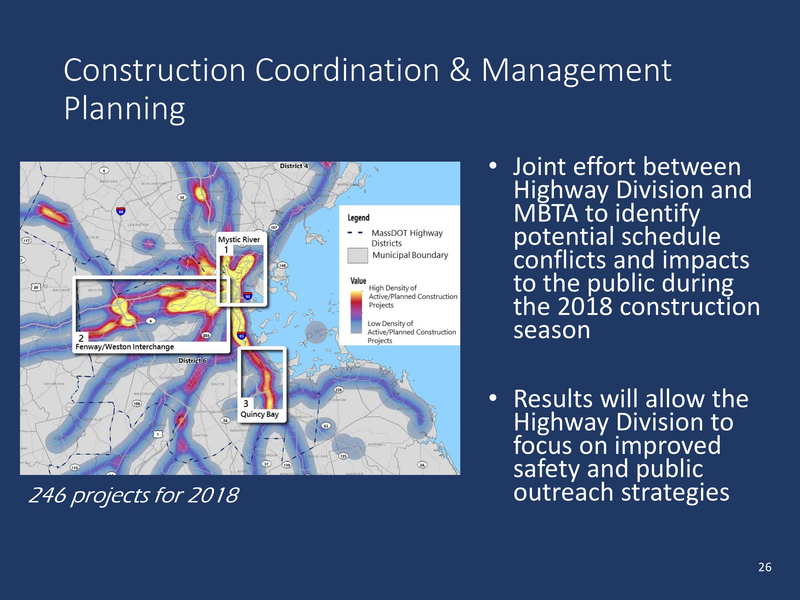 MassDOT reps said they plan to partner with the Highway Division and the MBTA to identify potential schedule conflicts and impacts to the public during the construction period. 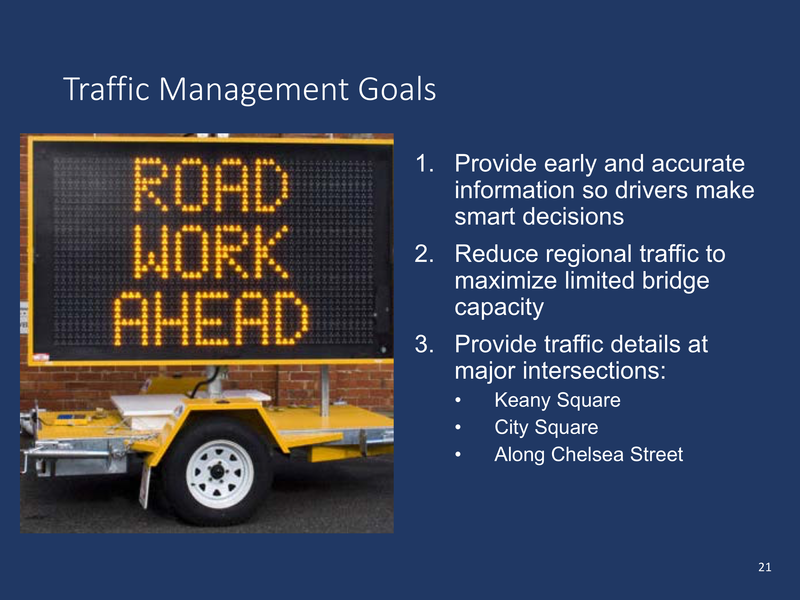 Their goal is to be able to provide drivers with accurate information early on in an attempt to reduce regional traffic and hopefully maximize the limited bridge capacity. 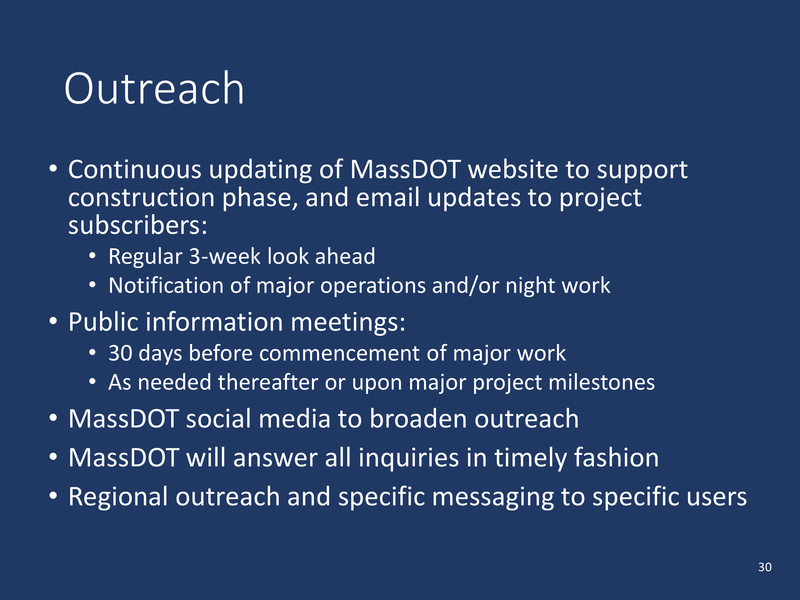 Their outreach will consist of frequent email and website updates, with meetings 30 days before major work milestones. 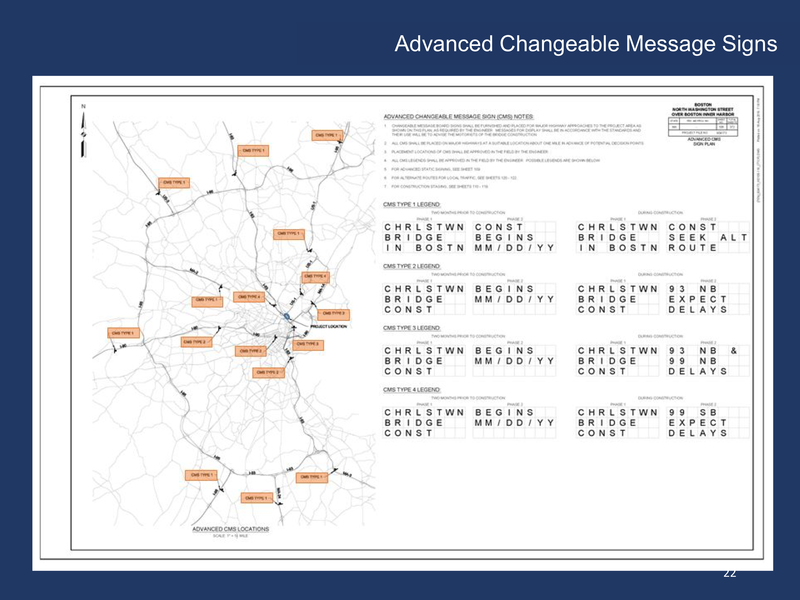 Drivers will also be targeted in specific regions to reduce traffic. Meeting participants raised several concerns, specifically criticizing the change in traffic pattern that would stop left turns from the bridge onto Commercial Street in the North End. This change forces traffic down Thacher Street or all the way around to Hanover Street and Atlantic Avenue. 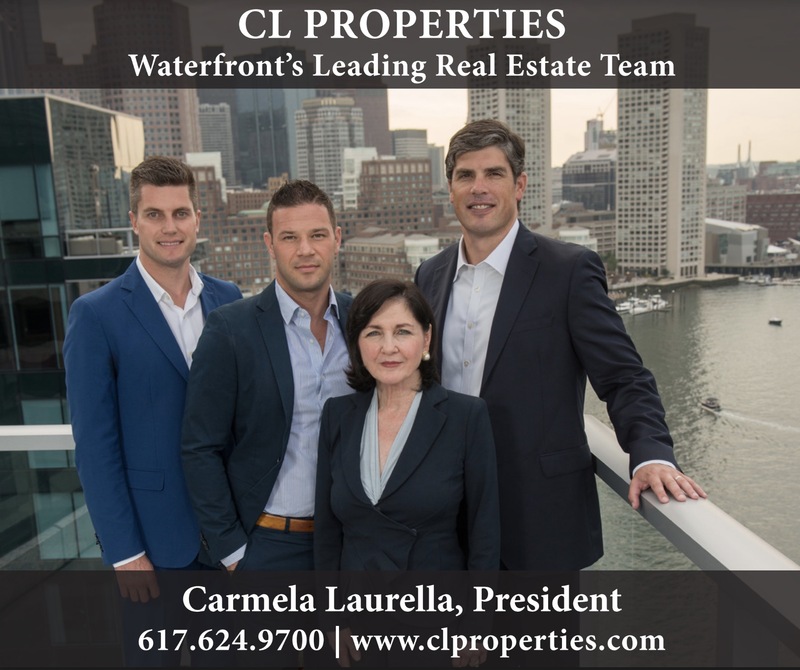 –Reconsider the decision to prohibit traffic from taking a left turn onto Commercial Street, as this will cause traffic issues throughout the neighborhood and is not a viable option for an extended period of time. 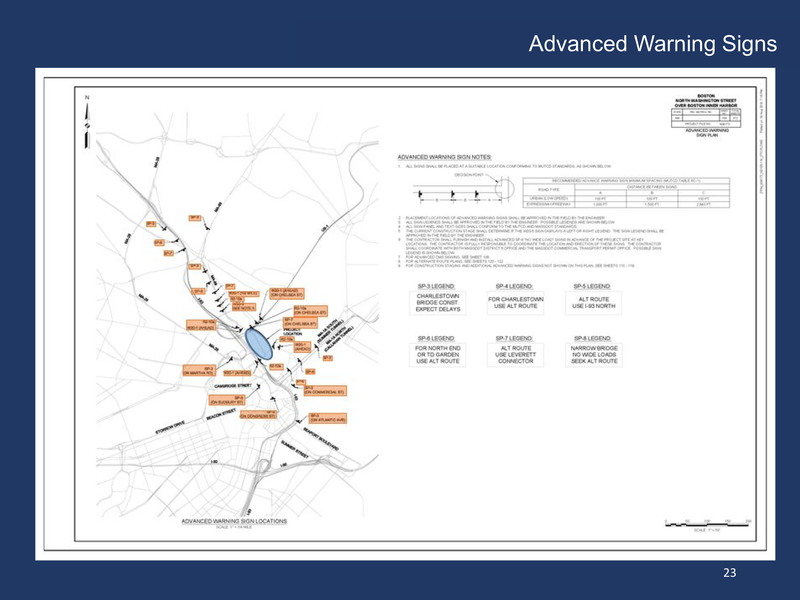 –Provide an additional traffic detail for the intersection of North Washington Street and Thatcher Street. 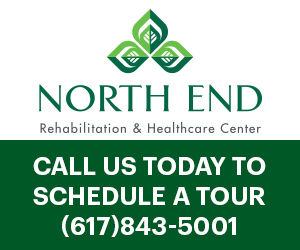 –The Endicott Street traffic light is already causing a backup at Keany Square intersection. –Notify airport traffic about construction so that these travellers are finding alternate routes that avoid the tunnel. 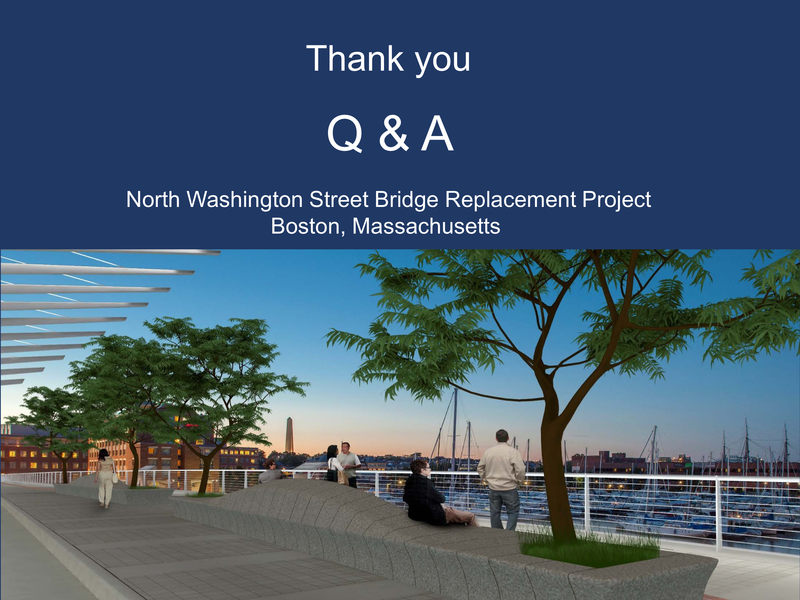 –Ensure that the remaining sidewalks on the bridge are wide enough for two way traffic (taking into consideration people walking with strollers or bicycles). –Look into signaling technology for buses or consider other ways to make the traffic merge from the bus lane easier and safer for all. –Expand ferry hours and advertise this option to tourists in Charlestown to minimize pedestrian bridge traffic as well. 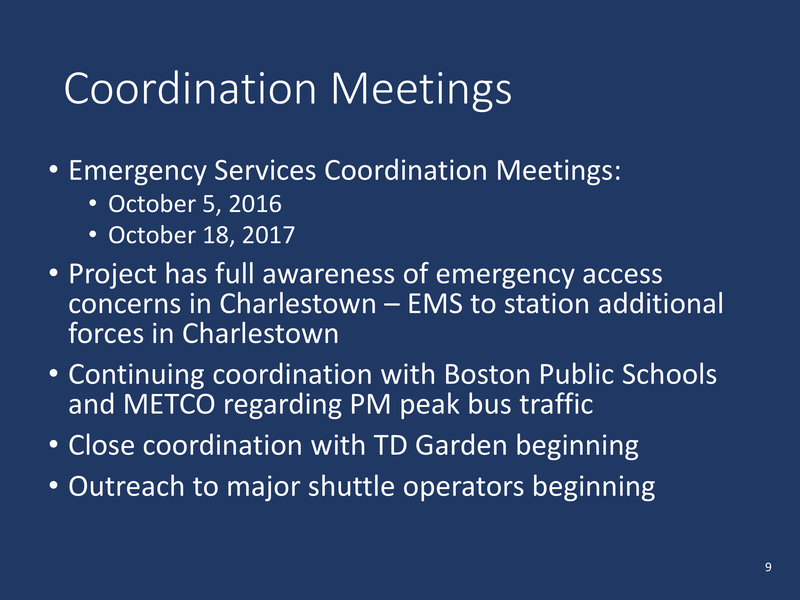 The presentation slides from the April 19, 2018 MassDOT meeting are shown below. See more NorthEndWaterfront.com coverage of the North Washington Street / Charlestown Bridge here. 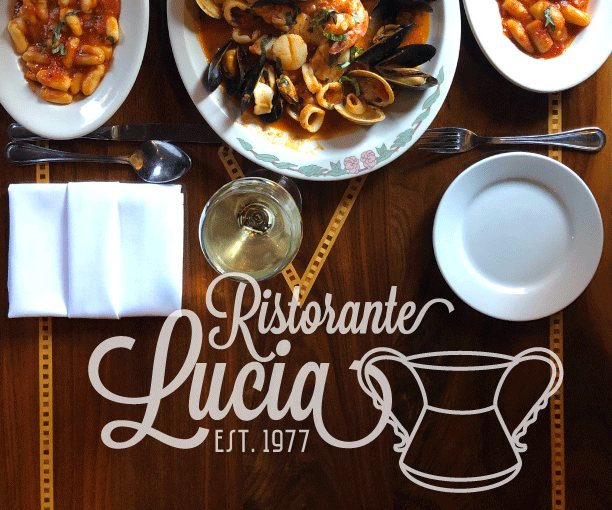 Next articleCelebrate Loft & Vine’s Anniversary! Wow! No left turn on Commercial! Thatcher Street is unable to handle current traffic patterns at rush hour, especially when snow narrows the road. Prince Street backs up, Salem Street corner is difficult to turn and no one can get out to Hanover Street. Poor plan. 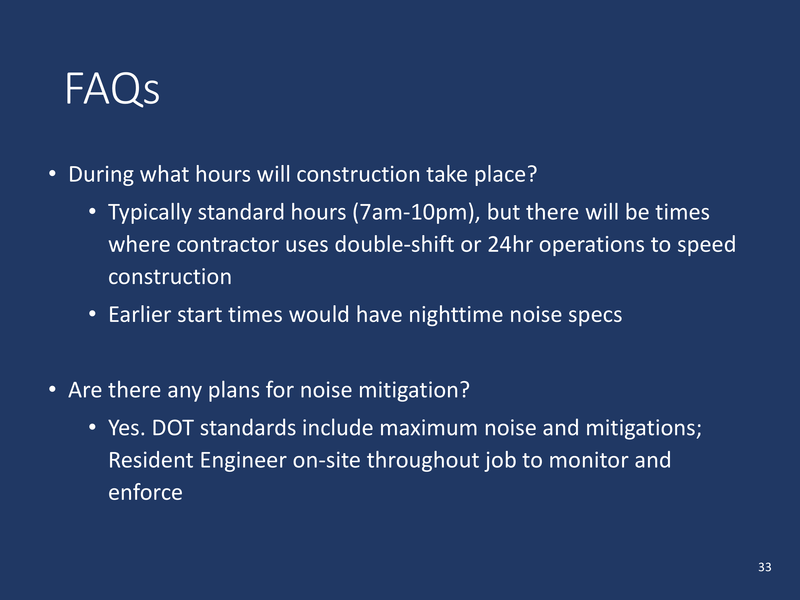 So does that mean that to mitigate traffic congestion MASSDOT will smarten up and change the timer at the light on Endicott street from 3 seconds to something a bit longer?? That light is a JOKE! It backs up traffic all the way down Endicott Street!! RIDICULOUS!! 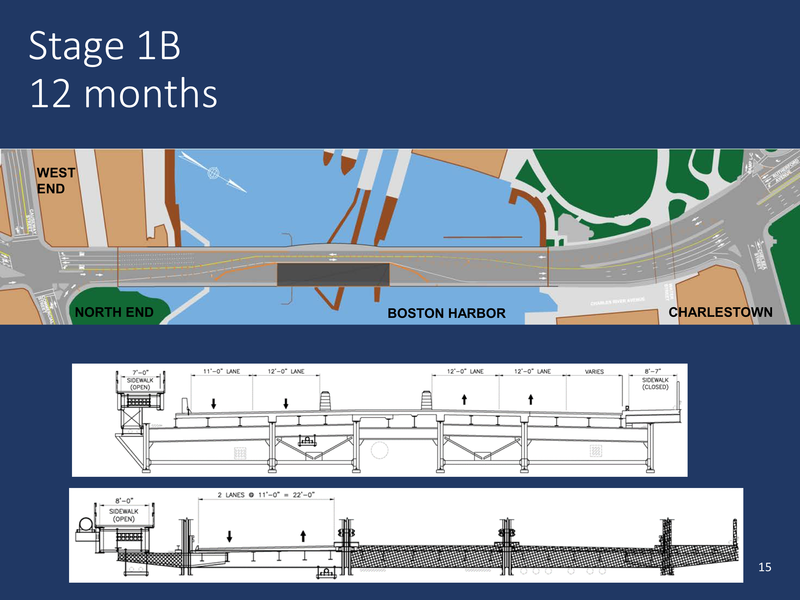 This is why a simple and safe bridge that would take far less time to build should have been proposed. Not one with landscaping and beautiful designs. And benches. And walkways. And a park. And this and that. A simple bridge that carried transporters over a body of water. Maybe we would only deal with this mess for 2 years rather than 5. Instead of thinking ahead and considering a long term play (maybe another 100 years? ), lets build a POS that we can all complain about for years to come on this site. Projects usually end when the budget runs out. In the end, they might run out of money and they won’t overrun for the landscaping. Then eveyone will wonder why all this open space? Then you can tell them, this where they were going to plant a tree which would have been dead in a year anyway. So we saved money on the removal. Nobody said “landscaping” would add 3 years to the project. More importantly, nobody ever said to build a POS bridge. Specifically said to build “simple and safe” Please re read the statement. I will re explain. 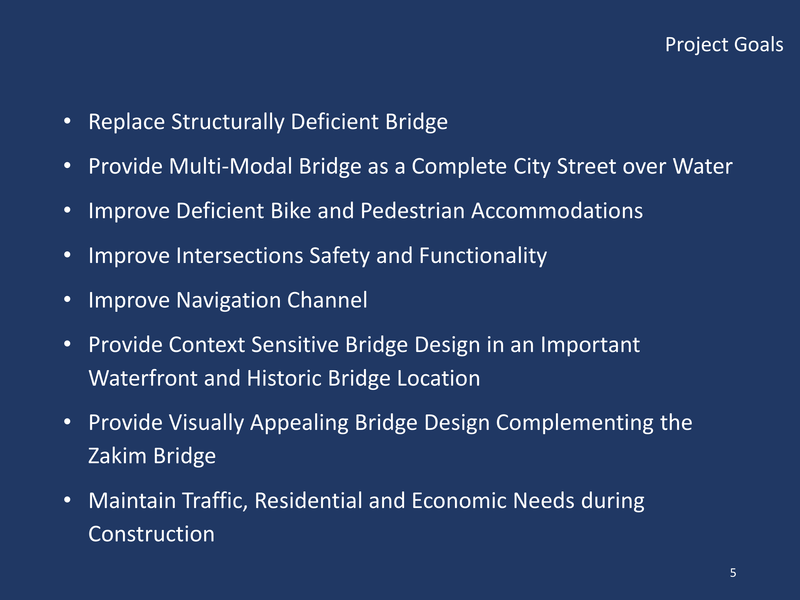 The unnessesary “over beautification” of this bridge will add years and millions of dollars to the project. I know. I just googled “simple safe bridge” and can definitively say that it should take NO MORE than 3 MONTHS and $7,800 to build this bridge. MAX. ABSOLUTE MAX. NOT 5 YEARS! The trees and bikers and pedestrians are literally costing us MILLIONS of dollars and YEARS of frustrating delays. WELL, I FOR ONE AM SICK OF THE BIKERS AND WALKERS AND BENCHES AND TREES! 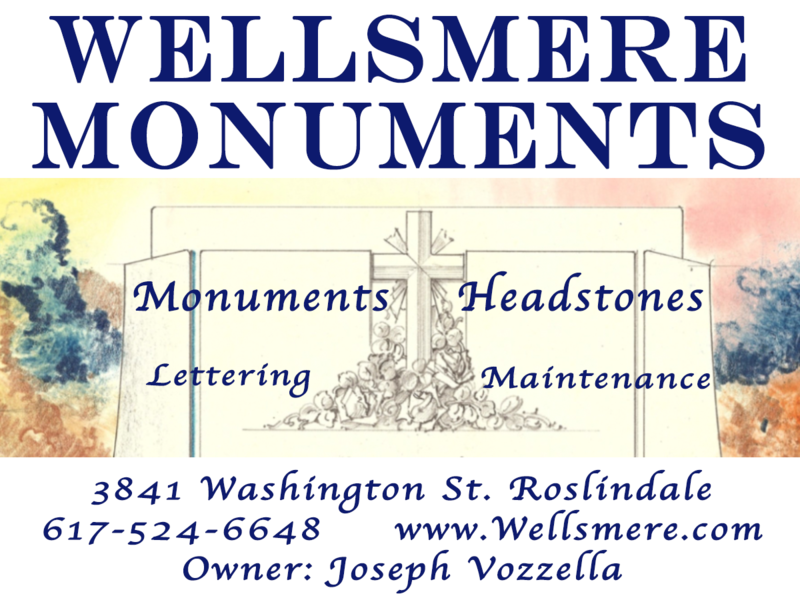 IT’S TIME CITY HALL STARTED PAYING ATTENTION TO US! THE REAL NORTH END RESIDENCE!!! IF You want to go ride a bike, maybe move to texas or florida. 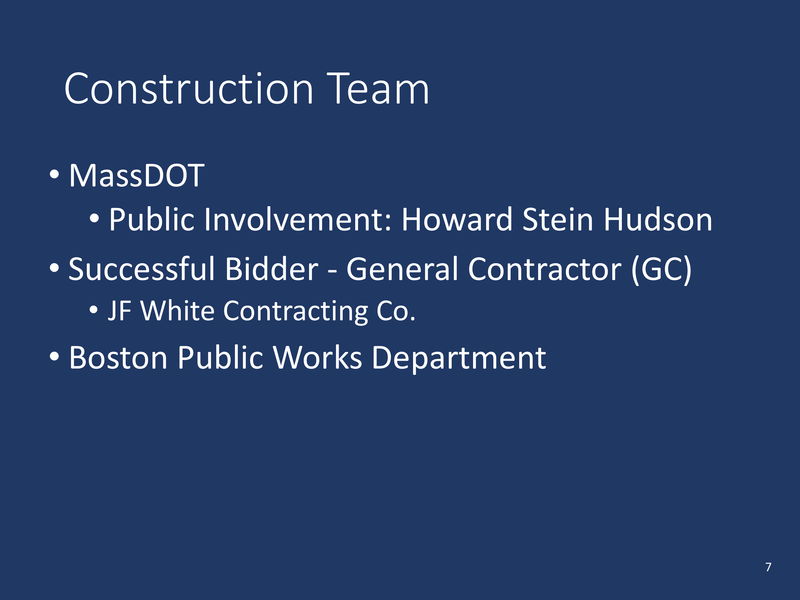 It takes the City Of Boston longer to fix a pot hole.As for the $7,800 cost where did you come up with that figure this isn’t 1910. I think think some zeros were truncated from your figures or you Googled a Chinese site. 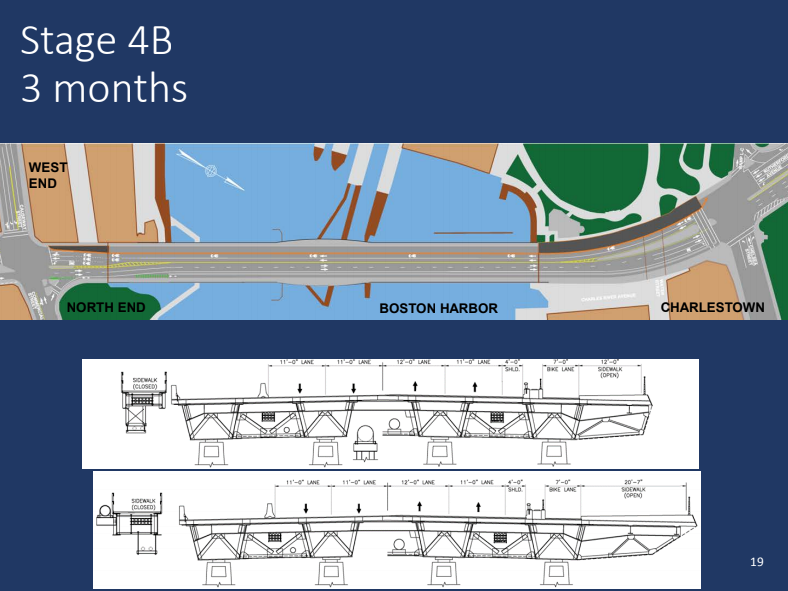 We need more lanes in & out of Boston, not less. Originally six lanes down to two just doesn’t make sense when the traffic congestion is already unbearable. Then add a casino in Everett, & everything else planned for the Charlestown area on top of that which will more than tripple the population & cars etc. And the new plans/design for Sullivan isn’t going to help us either. 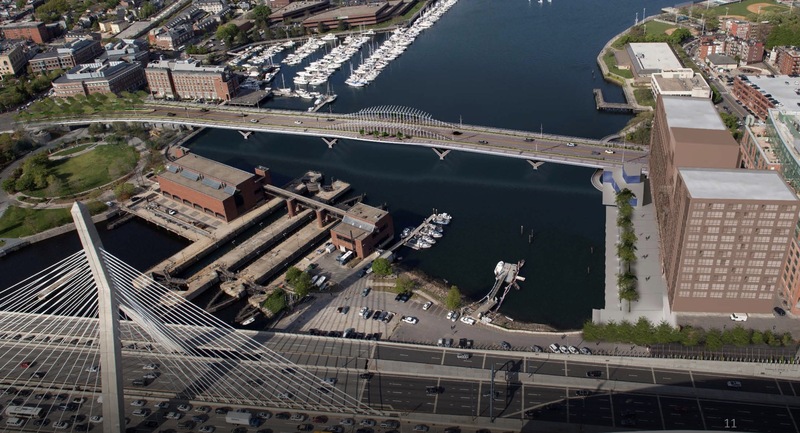 Just make it a pedestrian bridge and maybe people will use the 25 BILLION dollar tunnel, or just not drive so much instead. 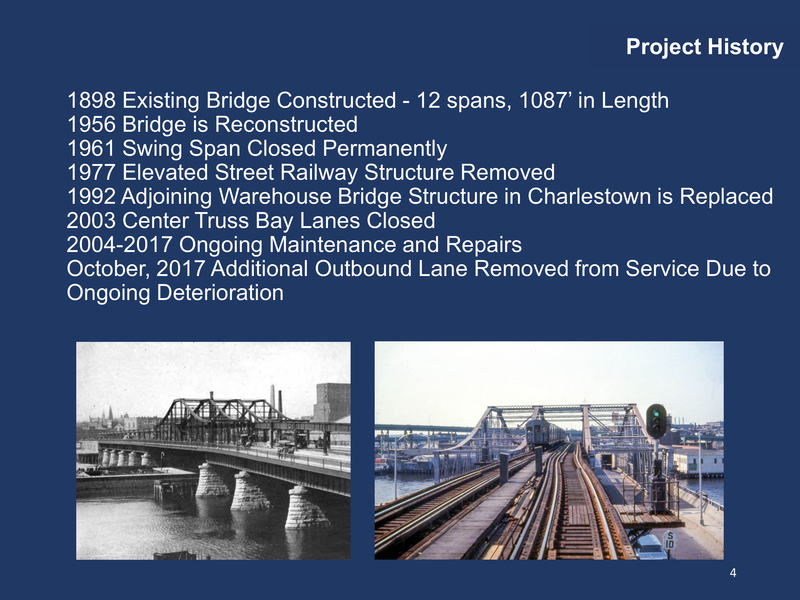 I use the Charlestown bridge all the time, but honestly I’d rather it just be gone. 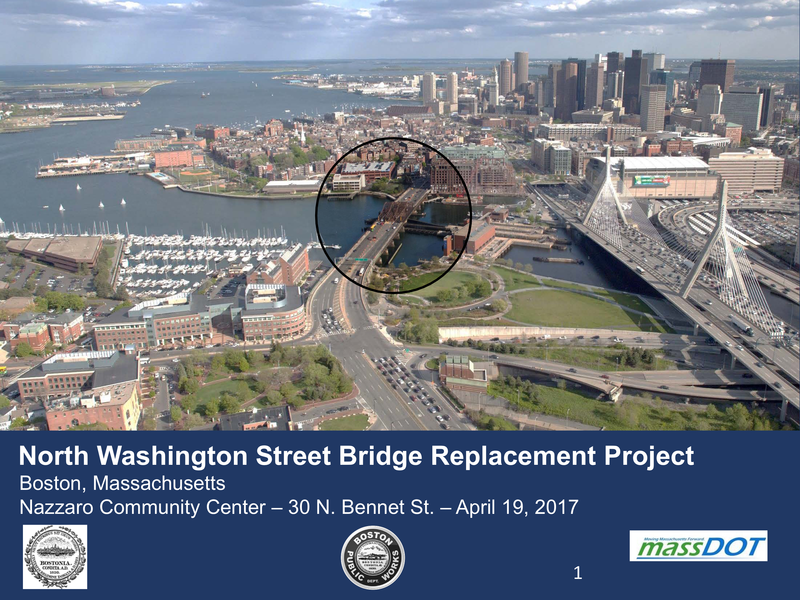 The North Washington / Causeway Street intersection is like two highways colliding and mix that with Boston (honk your horn at everything 30 times a minute) drivers, and you have a total mess and noise that’s unbearable. It’s terrible all the time, and it will be terrible for the next 6 years. Then once it’s completed, it will just be terrible most of the time. Please please please change the plans to allow for the left turn onto Commercila St. Detours to athacher have to make.a right on Prince. Then the hard left up Dalem Street (cars will really speed then) to Charter, which already backs up at the light. No one will get anywhere. Stick a trash truck on the street and no one gets anywhere anywhere!! Please!!! This is going to be hard enough as it is. Very good point about trash collections. I’ll bet they never considered this. Fasten your seat belts it’s going to be a bumpy ride. OMG. 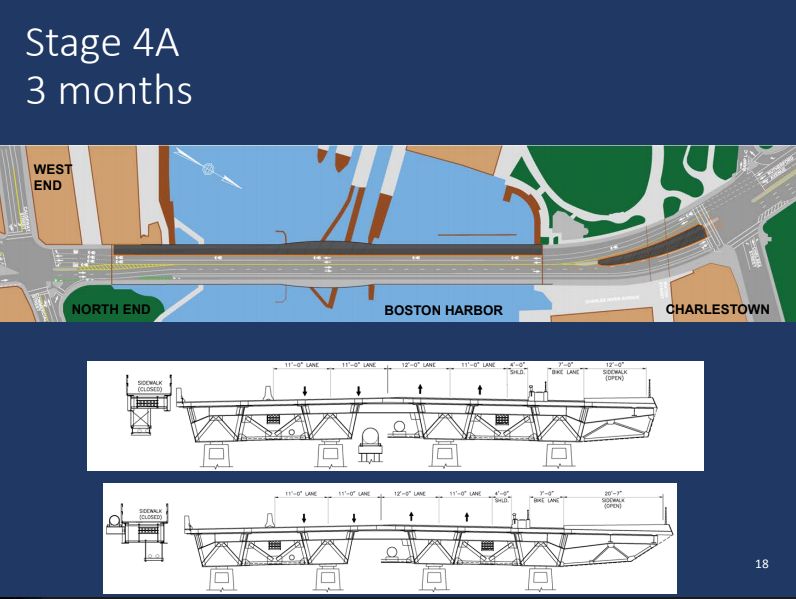 I know it has to be done, it’s a very old bridge , but God, traffic in Boston period is getting worse by the year with no construction. I really feel for for the people I know who live in the North End, more traffic on streets that were made for horses without the buggy. Of course the summer etc. I don’t read it here, but I hope they add police officers within the NE and not just on North Washinton st, to nab the idiots who think they can zoom thru the small streets. I know. It’s been getting worse and worse since the 60s. It’s almost as though we need to think about moving people safely, comfortably, and efficiently about the city somehow without cars. 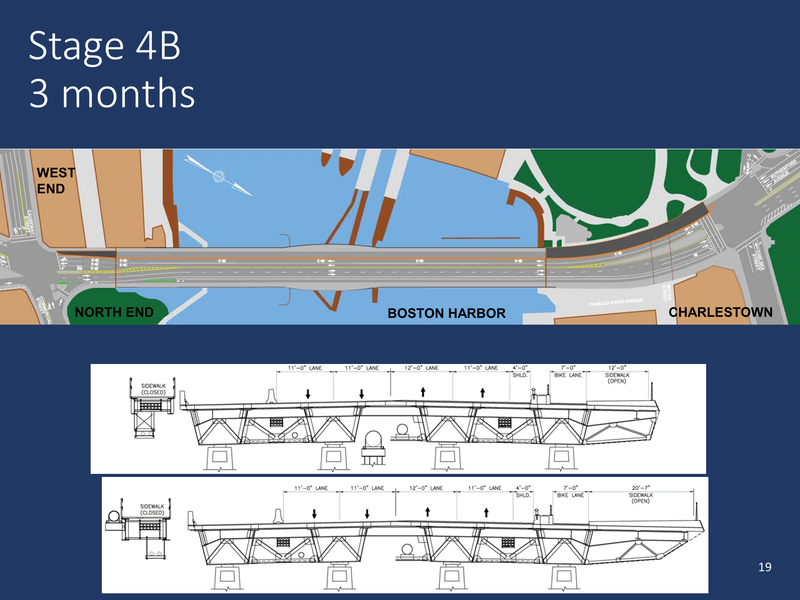 Also, I’ve always said: If you find yourself needing to drive a car across the Charlestown bridge on a daily basis (oh heck – MONTHLY basis) you’ve made a bad life decision. GOOD IDEA! ! Not bridge related, but intersection related. 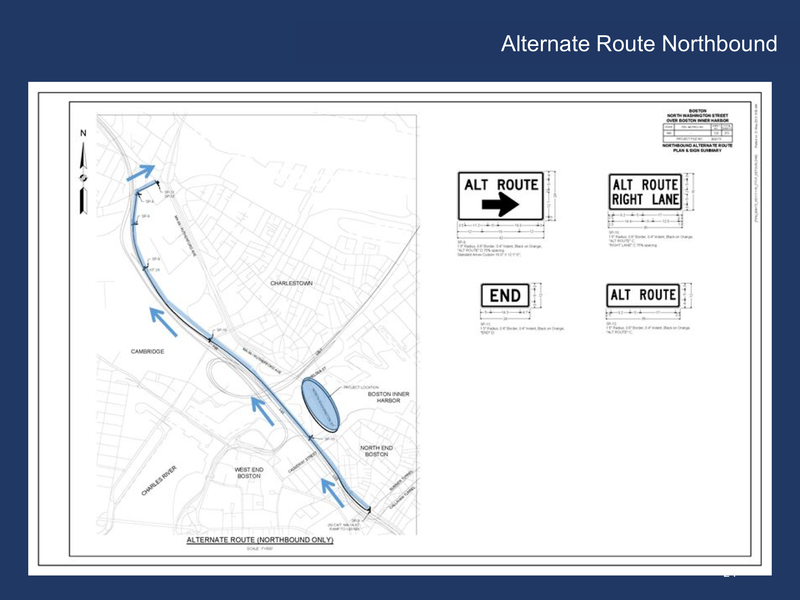 Direction should change on Endicott Street to be one way in each direction from Thatcher. That way no one can enter at the beginning of the street to “avoid” the back-up of North Washington Street. 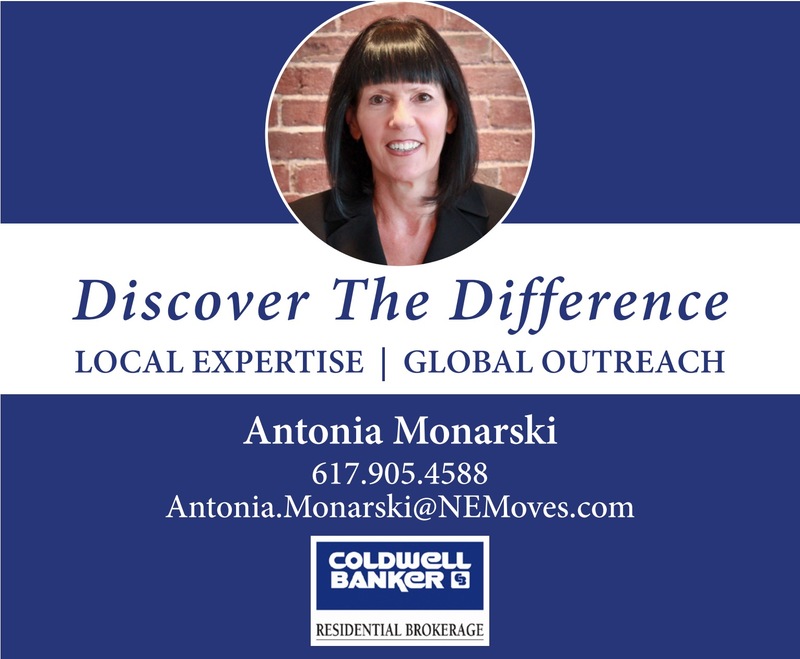 Endicott is a neighborhood street NOT a by-pass road. PLEASE PLEASE let’s make this change. Far fewer people will take a right on Thatcher to “by-pass” the traffic on North Washington street because at that point you can see the light and you’ll make it through the next time it changes. If cars aren’t speeding (WAY too fast) on Endicott to make the light, they’re backed up to Thatcher handing their horns constantly. We can’t count on people to be civil. This needs to change. Immediately. Ugh.. Right on Thatcher and Left on Endicott. Never mind. Ignore the last comment! No left on Commercial will be a major concern. 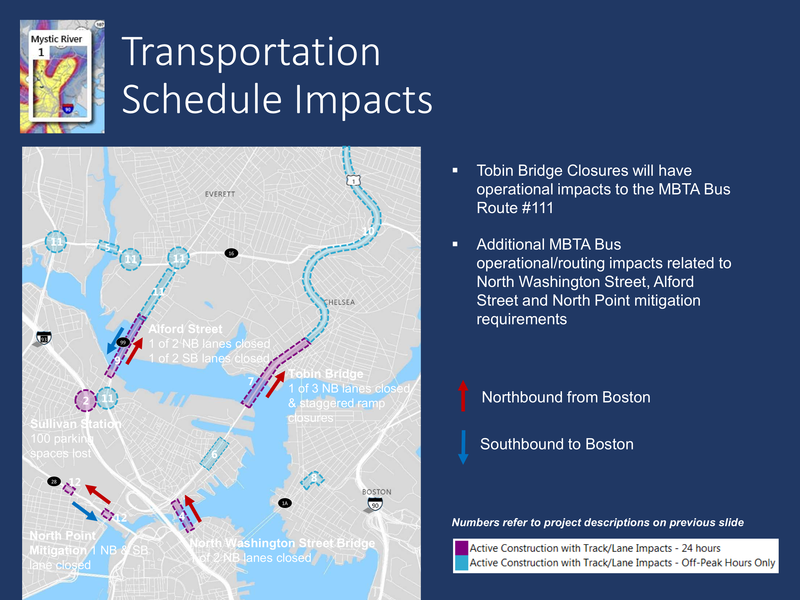 Poor us in the North End…..the fumes from traffic will be suffocating. Idling cars and trucks, cutting through the ‘hood’. Bad news all around. Sad. The fumes are already suffocating in the whole area because there are too many cars. 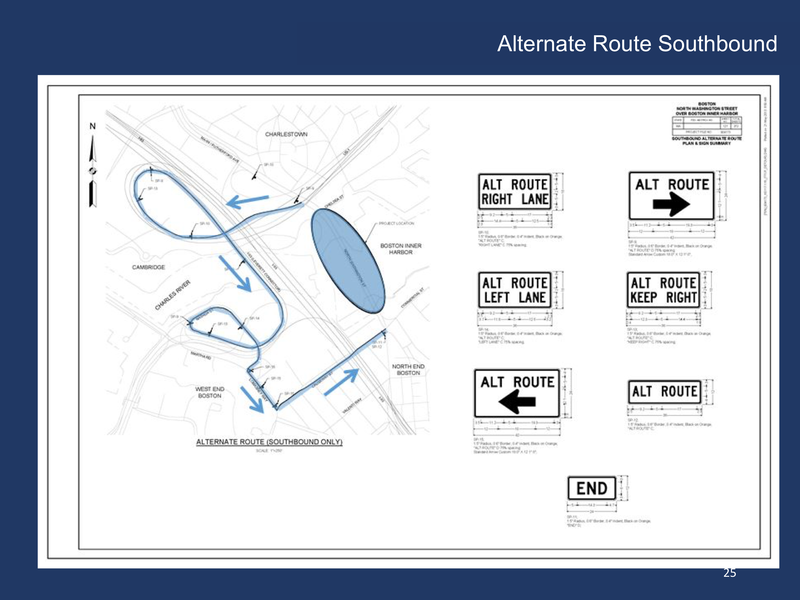 This is just rerouting them – they should be blocking cars from going through the area at all. This is a city. Take public transit. This new traffic pattern is going to be an absolute nightmare. Terrible decision. I’m guessing major grid lock, made worse by drivers panicked decisions to cut down a side street regardless of whether it’s one-way or not. Followed by more panic and anger once they realize they are lost. Should make for an interesting summer. This is the kind of decision that I suspect will backfire, causing a weird hack to reinstate the left turn on to Commercial. It will amount to a sop, but better than this plan. The more I think about it- almost all traffic to the brinks garage will turn on Thacher and go up Endicott now. That’s ridiculous. What is the rational for no left turn onto Commercial? In the end, if we’re confused, what hope is there for someone coming to town and hoping to park on Commercial St in one of the lots. Might be good for the Brinks garage, assuming lots of traffic down Prince St …. the wrong way. I have read all the comments, and sadly enough, it is a Fact. Is anyone ready to Protest out City Hall? outside of City Hall from the North End; if he has Please refresh my Memory. Sorry Joanie if you thought the post was about you because it wasn’t. I was speaking in general about all the projects happening in the city so that “Maahhty” can keep his union minions employed. City Hall couldn’t care less about anything. Sadly we can protest all we want they don’t care. Look at what’s happening in Maverick Sq. They want to demolish two historic row houses and replace them with a modern box like structure. Puhleez! 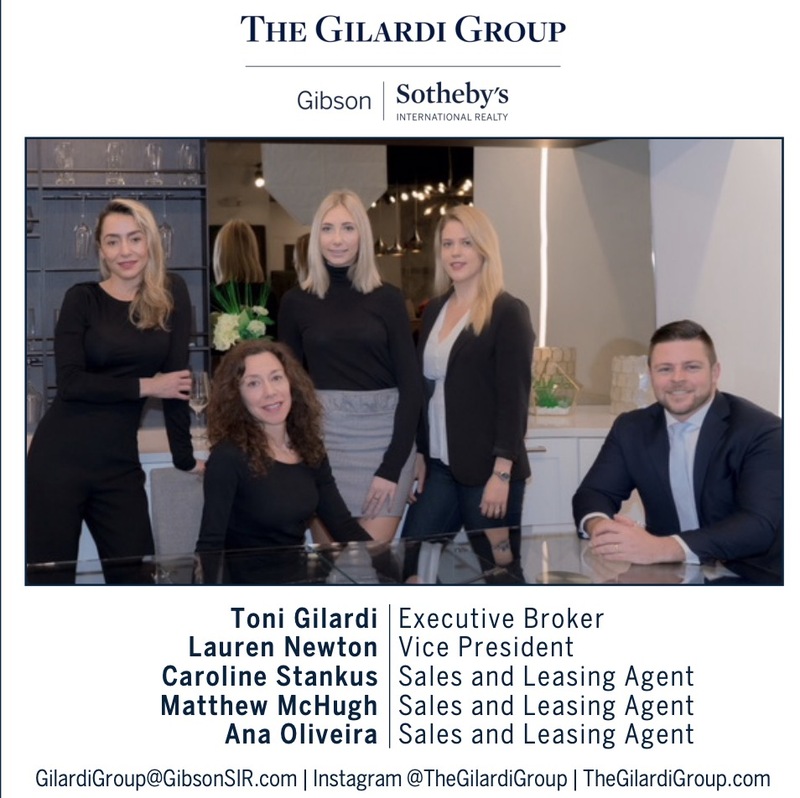 Look at what is happening in “Chinatown” Cooperation buying properties that were for low income housing and converting them to this airbnb racket. You never know unless you TRY. It is better to Fight & Lose than never to Fight at all for our Beliefs. A petition drive might be much more affective. The petition could be addressed to City Councilors as well as the Mayor. Protesting requires people to take time off from work for something that won’t provide income. On the other hand, the idea is bad enough that it will quickly become an issue in all the local news once this routing starts. When that happens the politicians will quickly change face and somehow implement the left turn. You keep going back and forth about protesting the mayor and city hall and city councilors…..
Did you even read the article? The headlines? 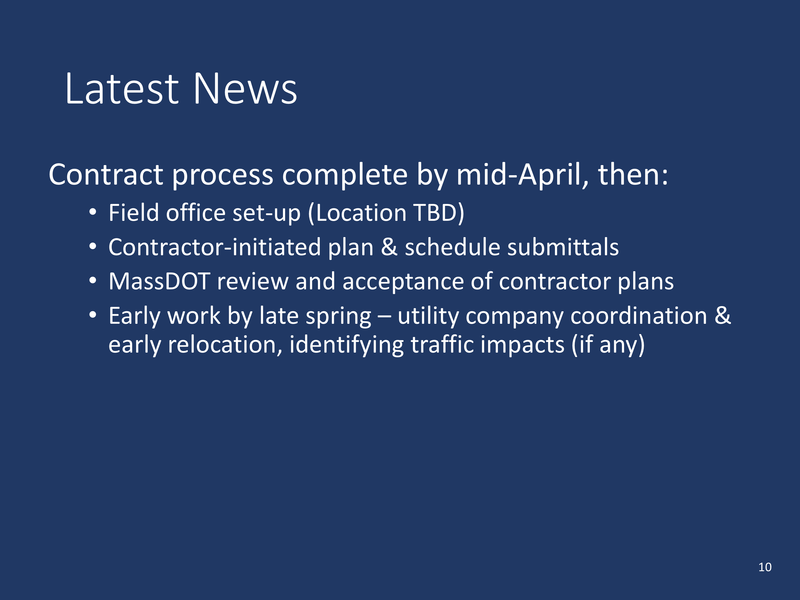 This construction is being done by MASSDOT! 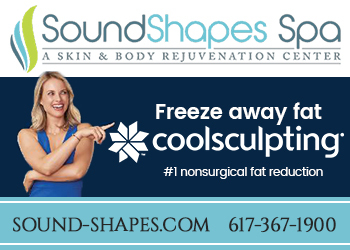 The State of Massachusetts! 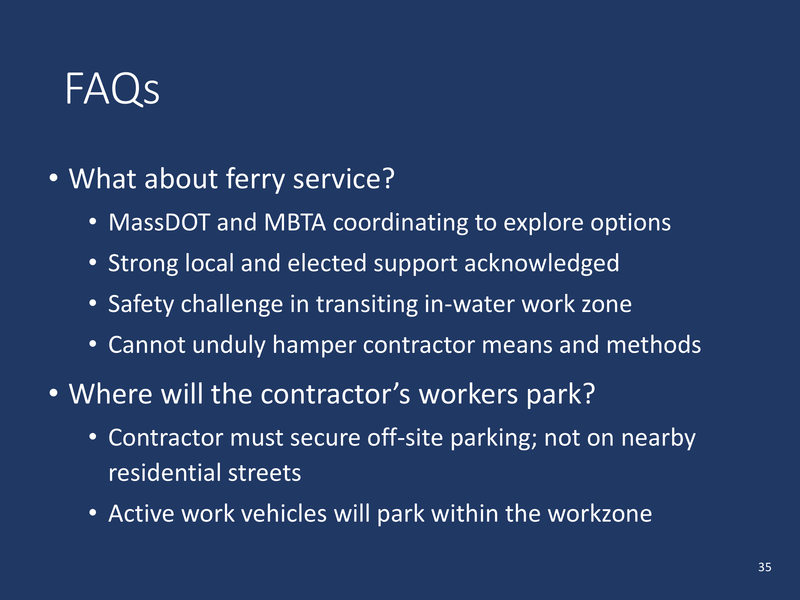 Massdot has no constituency. The electeds do have a constiuency and a stake in a well functioning city. 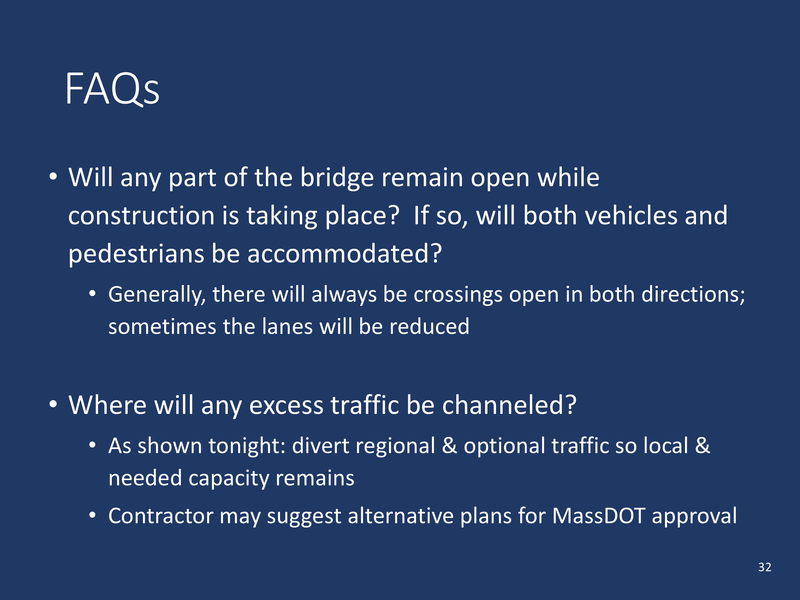 Any protests to Massdot will go completely unheard coming from the public. 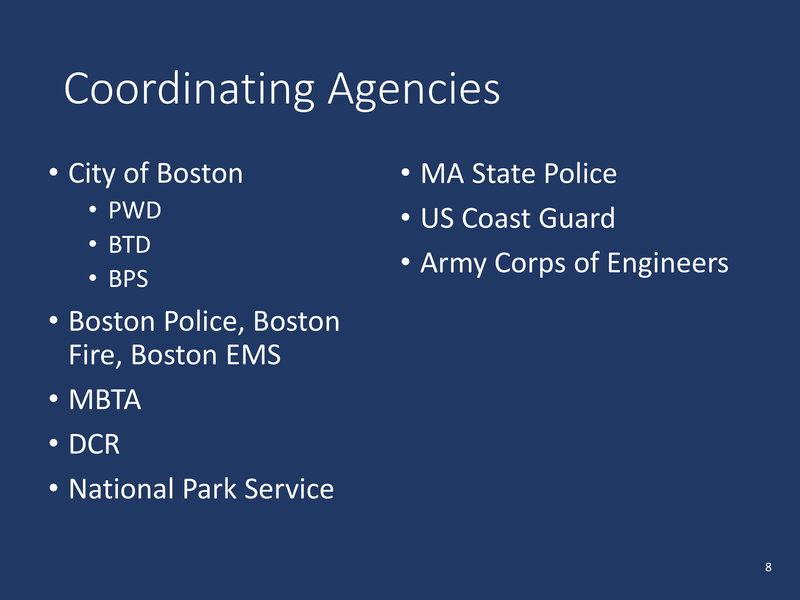 Since massdot is appointed, they will listen to politicians, otherwise they can be unappointed by the same. 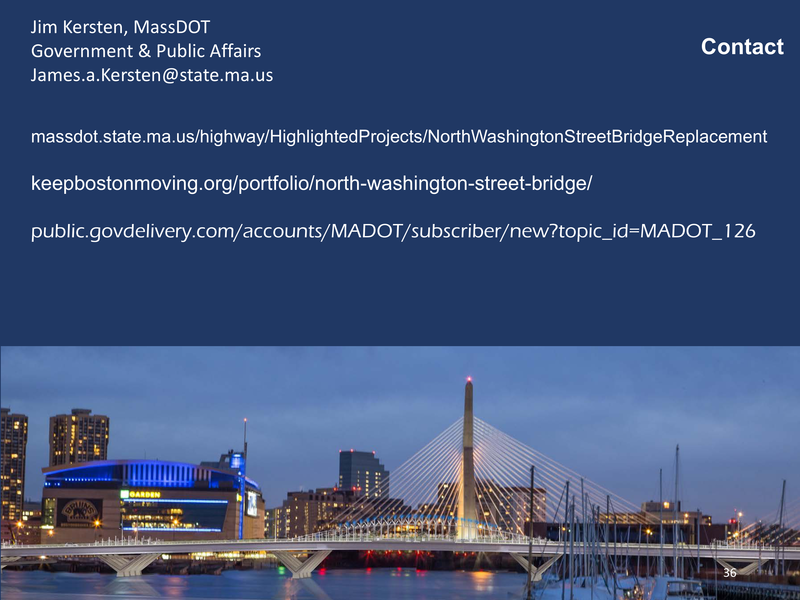 Thanks very much Mark F for your comment however of you scroll to the mid top of this thread you’ll see that I commented about the MASSDOT and later commented about not to bother with “Maahty” because they don’t care at all. I am very well aware that it isn’t a city project. 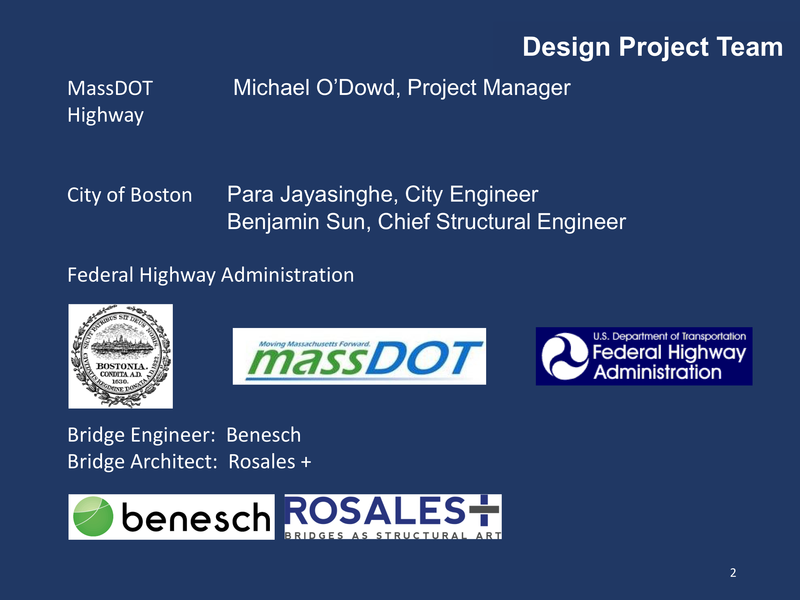 MASSDOT, The City or the State or the White House. 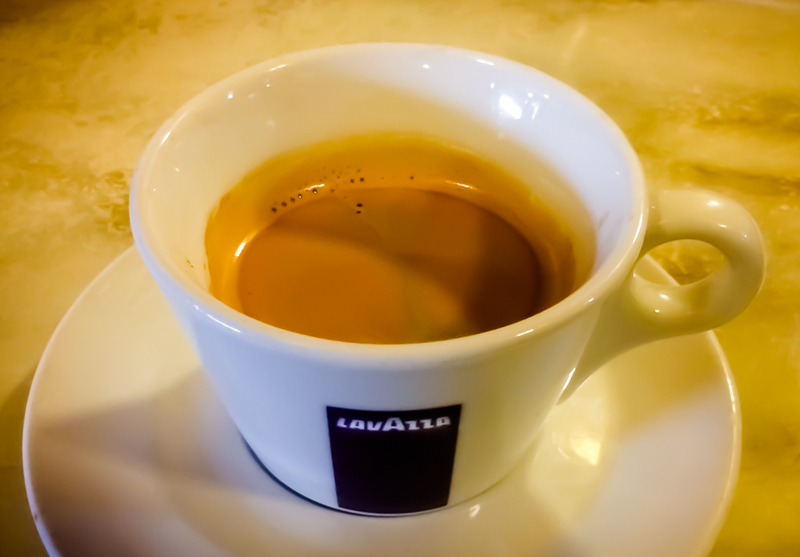 To do absolutely NOTHING would be a shame. What exactly are you protesting here? The bridge is falling apart and needs to be replaced. Michael D. Chinatown, People only get away with what you allow them to get away with. I really don’t want to Protest, but look what is going on & giving up without a Fight. 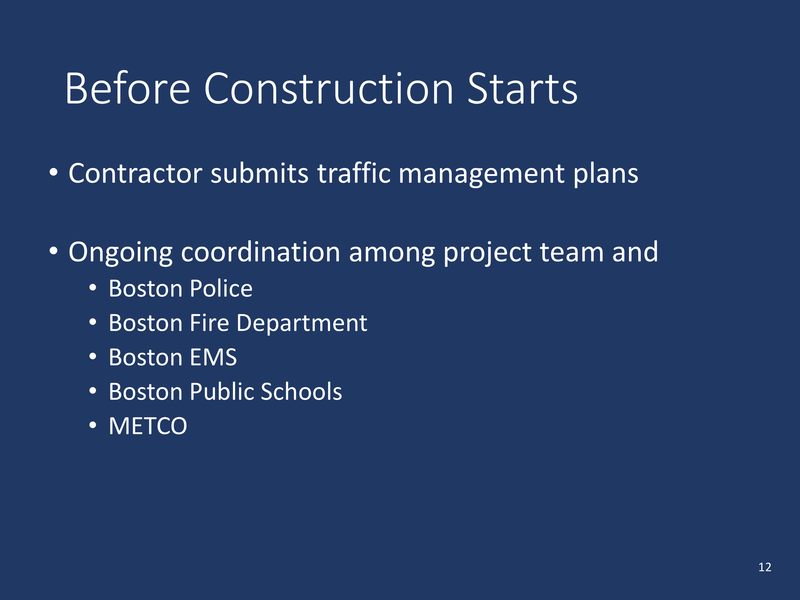 Thatcher St. & Prince St. are going to be Chaotic too, all UNNECESSARY.